Fully compatible with both MEX and FleetMEX, the MEX iOS App is specifically designed to assist you with the maintenance of your equipment whilst out in the field. Compatible with iPhones, iPads and even iPod touch’s, this innovative maintenance app can be accessed absolutely anywhere. With the MEX App’s ability to function outside of mobile coverage areas in an offline mode with sync functionality extending the MEX apps versatility. 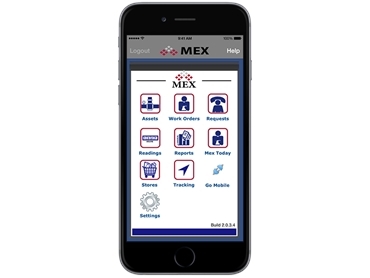 The majority of the day to day functions featured in MEX and FleetMEX are enabled on the MEX iOS app with the added convenience of portability. Features include: The Asset Register, Work Orders, Requests, Readings, Reports, MEX Today and Stores. 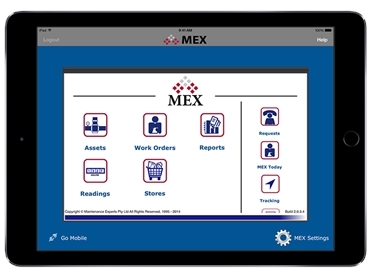 The MEX iOS app gives administrators the ability to Track Assets and Personnel with the Tracking Module allowing you to always stay on top of maintenance. 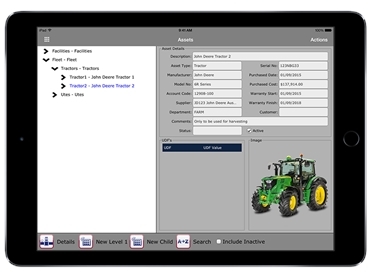 Inspections on the iOS app gives users a digital platform to complete all equipment inspections, with all your entered data loaded directly back into the MEX/FleetMEX System. You don’t always need a connection to your database to work with MEX. Users can Issue and Return parts, complete Inspections, update Work Orders and perform Stocktakes whilst outside network coverage. 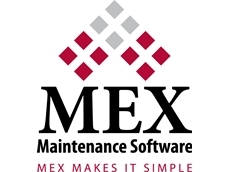 MEX iOS App makes managing maintenance even easier. MEX iOS has the Ability to implement a Barcoding system that aids asset and inventory organisation. Use Dictation - The Dictation tool is built into all MACS and iOS device keyboards. Perfect for large volumes of text. Save the environment - the combination of MEX and MEX iOS means you can Go Paperless. 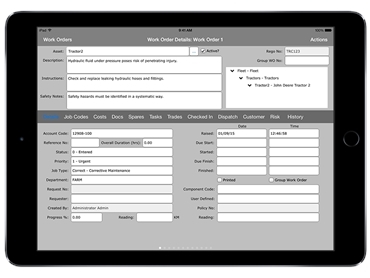 Take pictures on the spot and upload them directly onto a Work order. User-friendly and intuitive; The MEX iOS app in conjunction with MEX/FleetMEX allows for portability to monitor and maintain all your equipment irrespective to their location. In the process minimising breakdowns and maximising profits.